The two were arrested on September 1. 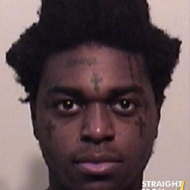 2010 in L.A. and charged with drug possession after police stopped their Maybach for making an illegal turn. TMZ got a hold of the “his & hers” mugshots and I have to say that out of all the mugshots I’ve posted, theirs is about the cutest yet…. 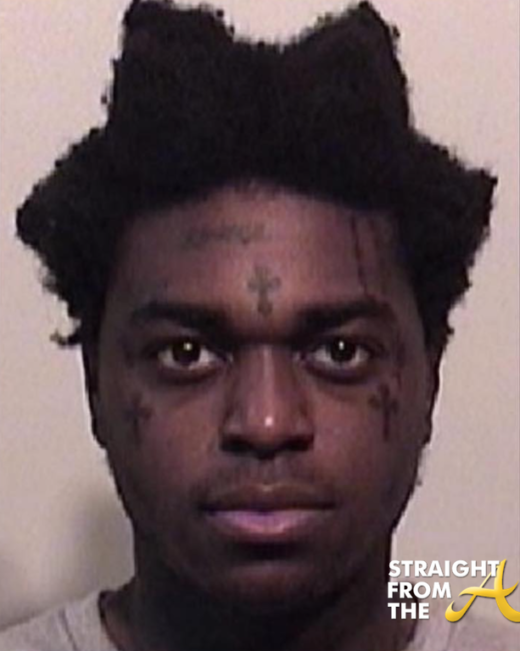 well besides Michael Vick’s 2008 mugshot… he gets the sexiest mugshot ever award! Sidenote: Cops have tested the pills found in Tip’s vehicle and have confirmed that they were indeed Ecstasy. 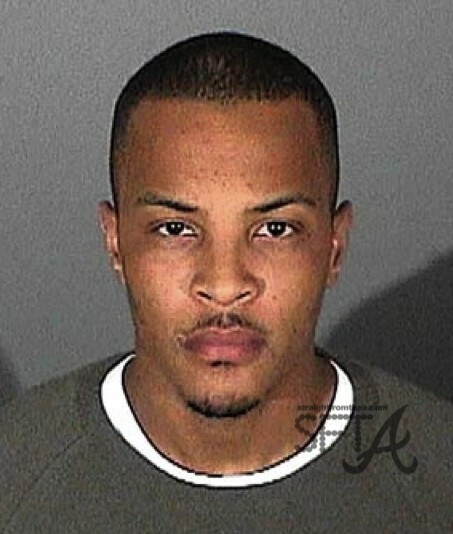 Now it’s up to an Atlanta federal judge to decide the fate of T.I. as far as his probation is concerned. T.I. has disappointed a lot of people with his recent arrest, especially the man who had heart to hearts with him about turning his life around. 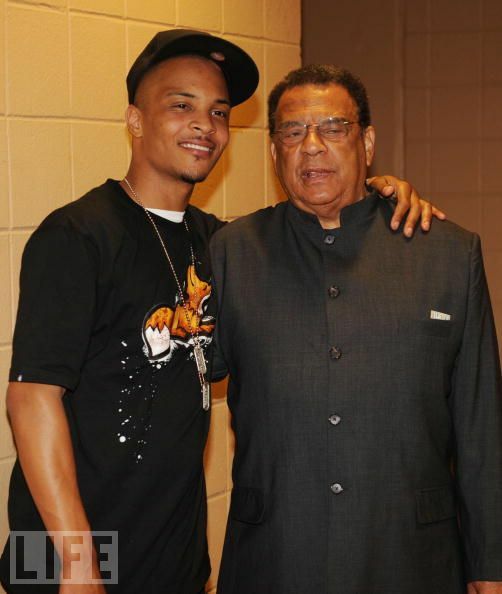 Ambassador Andrew Young took T.I. under his wing following his federal arrest for gun possession last year. He became a mentor to the rapper and also officiated T.I.’s South Beach wedding back in July. T.I. 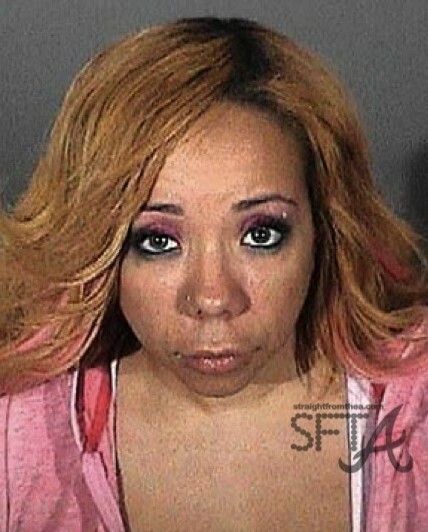 and Tiny Arrested on Drug Charges?!?!? 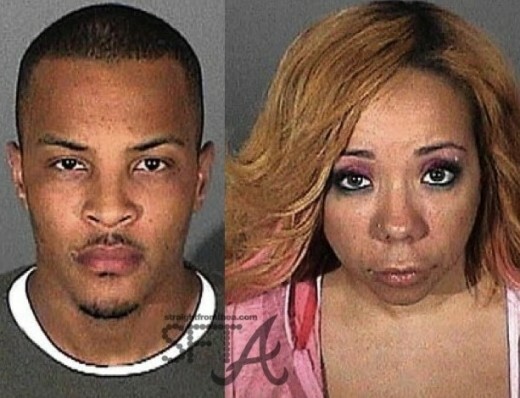 Newlyweds Clifford “T.I.” Harris and his wife of a lil over a month, Tameka “Tiny” Cottle were busted last night in L.A. for possession of drugs!! The couple just got married on July 30 in Miami [READ: Inside T.I. 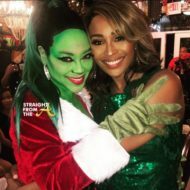 and Tiny’s Miami Wedding] and T.I. — real name Clifford Harris Jr. — is still on probation after doing seven months in prison on federal weapons charges. 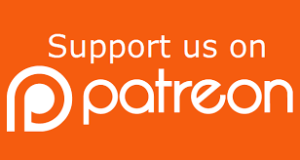 How could this happen… now? Especially after the pair is riding on the success of “Takers” being number one in the box office? Is it a set up… or merely the stupidity of people who can get out the ghetto but can’t get the ghetto outta them? It should be evident by now that the word “Swag” isn’t going anywhere. Not yet anyway. 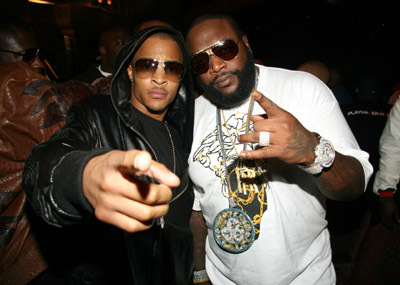 Especially since Tip, the hottest rapper in the game right now, has a new song,”Pledge Allegiance to the Swag” featuring Rick Ross. T.I. revealed yesterday, via a phone call to MTV that his next single, “Pledge Allegiance To The Swag” would be serviced to the streets and online before hitting radio. I’m just tryna feed the streets right now. I figure if I feed the streets, I’ll feed the radio later. You may also have heard by now that “Takers” is the number one movie in the country. 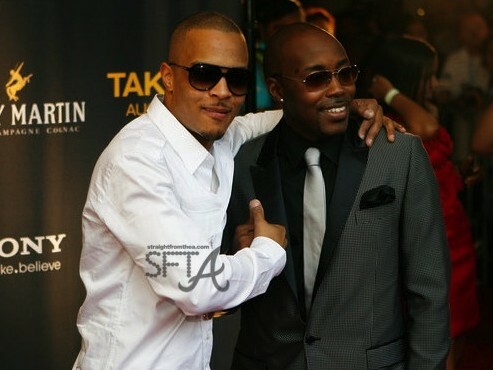 The fans have spoken and Tip also revealed that a “Takers” part two could be in the works. In the call, he explains it’ll be a “prequel” that tells the story behind his “Ghost” character. 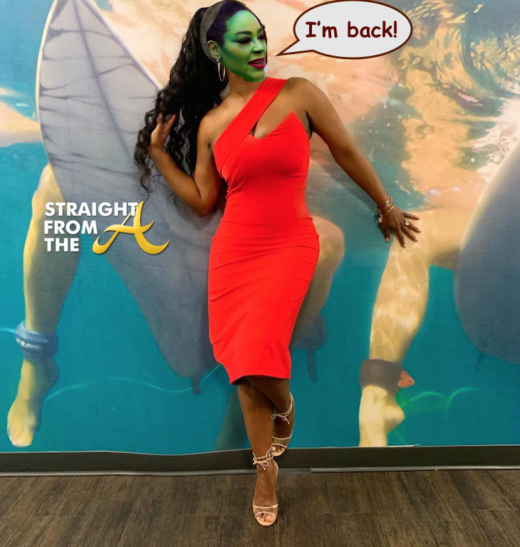 Contrary to early media reports that listed “Exorcism” as the number one movie in the country, Sony Screen Gem’s “Takers” took in $20.51 million on opening weekend, while ‘Exorcism’ pulled in a respectable $20.36 million to take the #2 spot.